When Northwest native Austin Arnett takes the trip to Melbourne for UFC 234, it’ll be his third consecutive fight outside of the United States. If he fights in Australia like he did in Argentina in his last bout, Arnett will be bringing another UFC win back with him on the trip home. Debuting in the UFC is great. But there’s nothing like that first win in the sport’s biggest promotion. It may have taken a few bouts, but Austin Arnett earned his first UFC victory in November. The decision win over Humberto Bandenay ended a three-fight losing streak for Arnett, the longest such streak of the 27-year-old’s 21-fight career. Arnett was offered a second UFC contract following his win in Argentina. Although his previous contract hadn’t yet expired, another four-fight deal (and a raise) was more than welcome, Arnett said. The Clarkston, Washington, native looked more like the fighter Northwest fight fans were used to in his win over Bandenay. Following losses to Cory Sandhagen and Hakeem Dawodu, Arnett struggled to showcase his talent in front of a UFC audience. Arnett said he was guilty of overthinking against Dawodu, focusing too much on what his opponent was going to do, rather than what he was going to do. He went into the Bandenay fight with a different attitude and mentality. Arnett said that, while the win felt great, initially getting his first UFC fight offer was the high point of his first year in the promotion. A lifetime of work culminating in earning his first UFC contract, and realizing his dream of competing in the promotion, is hard to beat. It hasn’t all been celebratory, though. Getting to the UFC is great. But continuing to fight in the promotion, that’s the real goal. After his first full year in the UFC, Arnett said he’s learned a lot. Whether it’s about training, his focus, or his overall outlook on the sport, Arnett has continued to develop and grow as a fighter in the UFC. When you train in Spokane, Washington, with the Sik-Jitsu Fighting Systems team, headed by coach Rick Little, you better show up to the gym ready to go. Someone is always getting ready for a fight, and it’s on the team to help each other out, Arnett explained. He will be training with the Sik-Jitsu team for the majority of his camp ahead of his bout at UFC 234 in early-February. That seems like the right move, especially when looking at the run Sik-Jitsu fighters have been on in recent months. Tyler McGuire fought for the ONE Championship welterweight title in November, losing a hard-fought decision. Later that same day, Arnett earned his decision win over Bandenay in Argentina. Come December, Sam Sicilia would upset Derek Campos via split decision at Bellator 212. Then, to close out the year, Michael Chiesa made his impressive welterweight debut, submitting Carlos Condit at UFC 232. Not a bad run for the Sik-Jitsu guys, eh? 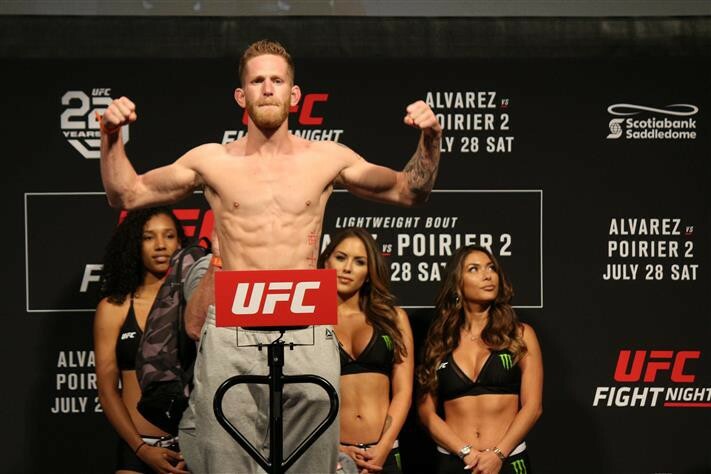 Arnett will try to continue the gym’s run of success at UFC 234 in Melbourne, Australia, in a couple of weeks. Matched-up with New Zealand’s Shane Young, Arnett is once again taking on a striker, something he welcomes with open arms. Arnett will be the “road” fighter once again as well. Arnett said that taking on Dawodu in his hometown, and Bandenay in his home continent, has given him important experience going overseas and fighting in other fighter’s hometowns. He knows what it’s like, he knows how to handle his weight, how to handle the travel, and has no problem fighting wherever the promotion sends him, Arnett explained. Having the reputation as a fighter who is down to fight, regardless of the circumstances, is important to Arnett. He’s not afraid of anyone, or of competing in their hometown. He wants the UFC, the fans, and everybody else to know that he’s a real fighter and is always ready to throw down. 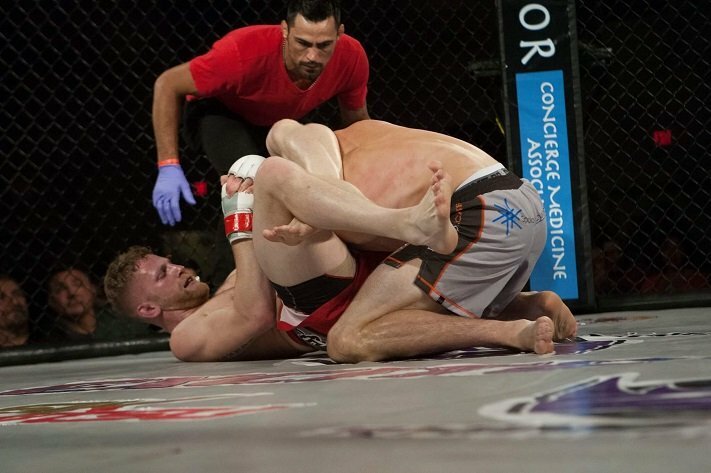 Anyone who has followed Austin Arnett’s UFC career can easily see his passion for martial arts shine through his attitude and performances. That’s all great, but winning takes precedent in the fight game. That fact isn’t lost on Arnett. He’s made it through his first full year and a handful of fights in MMA’s biggest promotion, and doesn’t plan on stopping now. Next stop: UFC 234.